Here in Calgary it gets HOT in the summer months. Hot to the point that I often forget my winter promise that I will never complain about the heat again, if only the snow would melt!! This summer is especially taking a toll on me as I am now 8+ months pregnant and NOT enjoying the heat in any way!! I also have small children who sit in car seats and let me tell you that no one is happy to get into a sauna of a mini van to climb into hot seats! 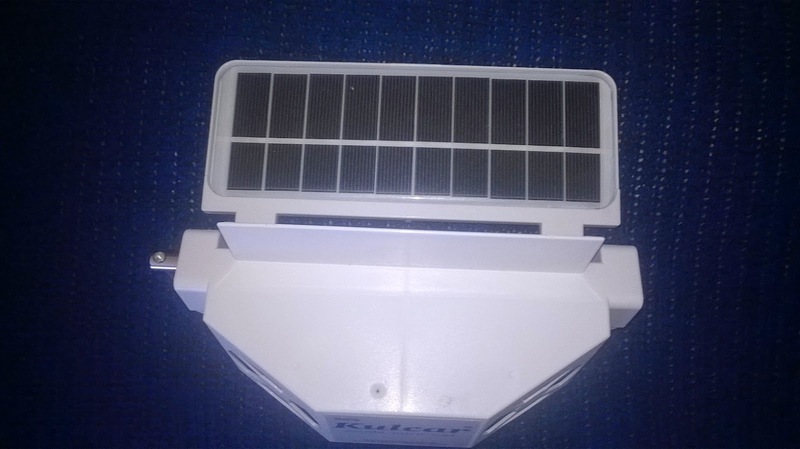 This is why I though a review of the Kulcar Solar Powered Car Ventilator by Sonray was perfect for our family! Anything that helps to cool the car down is a plus in my books and with less cranky and hot kids it became a huge plus!! 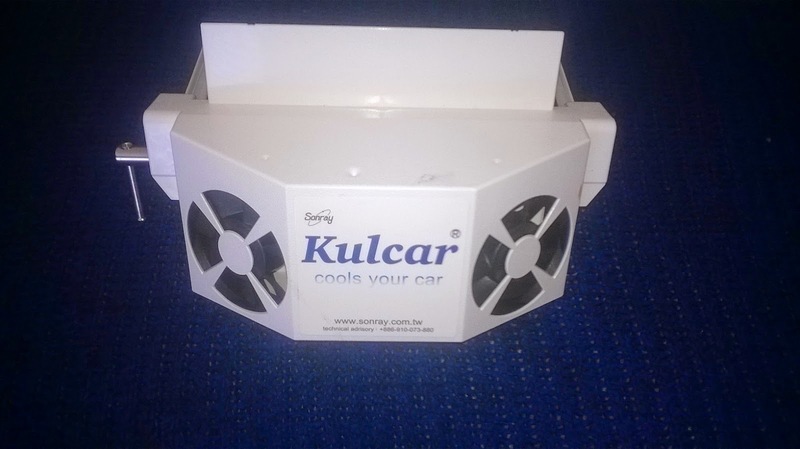 So how does the Kulcar Car Ventilator work... well it is really simple! 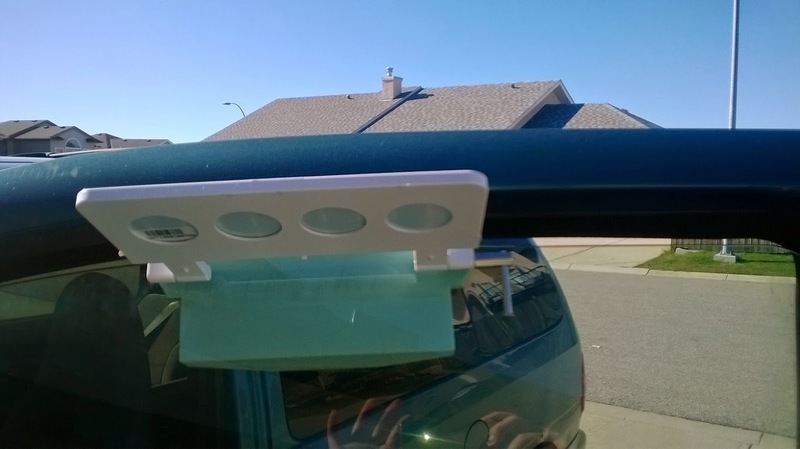 All you do is roll your window down and attach the rubber guides, slip the Kulcar unit in the middle and roll up the window! 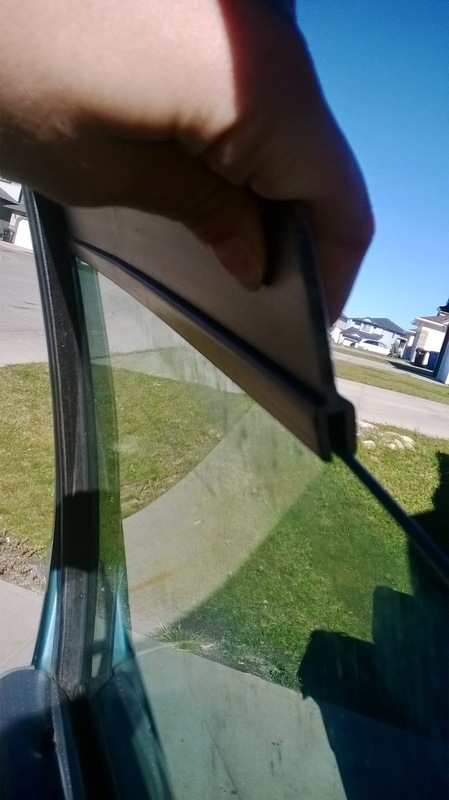 The piece of rubber I received would work better on a flat window as opposed to my curved glass window but I don't mind having the small gap and find it is super easy to place in the window as I am getting out. That's it! 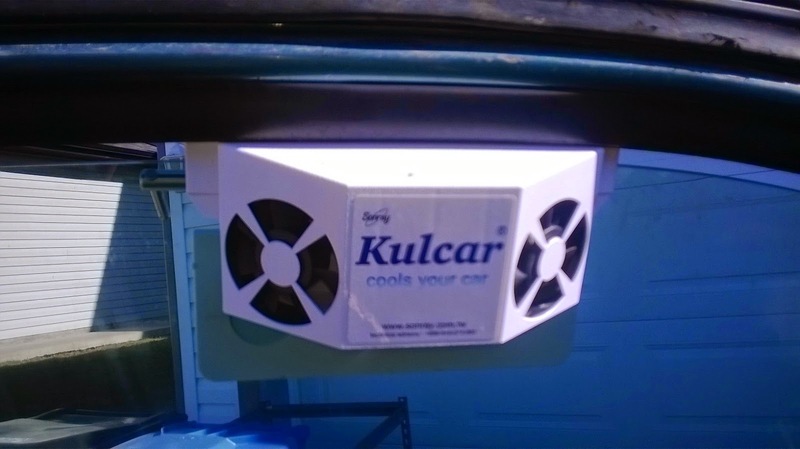 The Kulcar Car Ventilator uses solar energy to pull the hot air from the vehicle out of the car thus continuing to circulate the air when you are not using the vehicle. 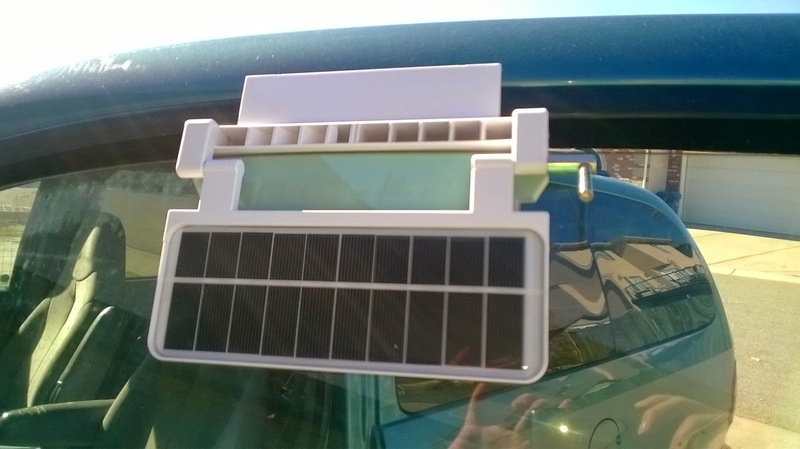 This leaves the vehicle feeling cooler and much more enjoyable to enter on a hot day! I also noticed that any scents(with four young boys there is way to much food left behind in car seats!) that are lingering in the vehicle were less noticeable! Mommy approved!